This month we have decided to touch upon “how much is too much” when applying your make-up for an audition. You want people to be looking at your face not your make-up! It can be very off-putting if people come in to a room wearing make-up appropriate for the stage rather than a studio, below we have listed some useful tips we have gathered from some Professional Make-Up Artists we have spoken to. First things first… make sure you are wearing the right colour foundation for your skin. You can get a colour match in any department store. Ask for a natural match when asking them to colour match, you can then use bronzer to warm it up if you wish but you won’t have the dreaded tide line on your jaw. Ask for a sample to try for a few days if it’s available before you splash your cash! A top tip from one of our make up artists is to go for a natural matte finish rather than a full matte to allow some natural radiance to come through. Stores like MAC provide instore make-up sessions with prices ranging from £20 to £50. MAC is the official make-up provider for various theatre shows, including “Wicked” all across the world, and is highly suitable for use in auditions. Brushes. Good brushes make all the difference in the finish of your make-up. The most important thing you can invest in is a good foundation brush. Our make-up artist recommends a buff brush rather than a flat brush as they allow you to get into all the nooks and crannies to achieve a flawless base. She likes to use the Clinique buff brush. Other brushes she recommends are Bobbi Brown if you have the budget, but if not Real Techniques and No7 work well too. If you are not very good at make-up, book yourself in for a lesson at a department store. They will usually do half your face and then teach you how to do the other half yourself. 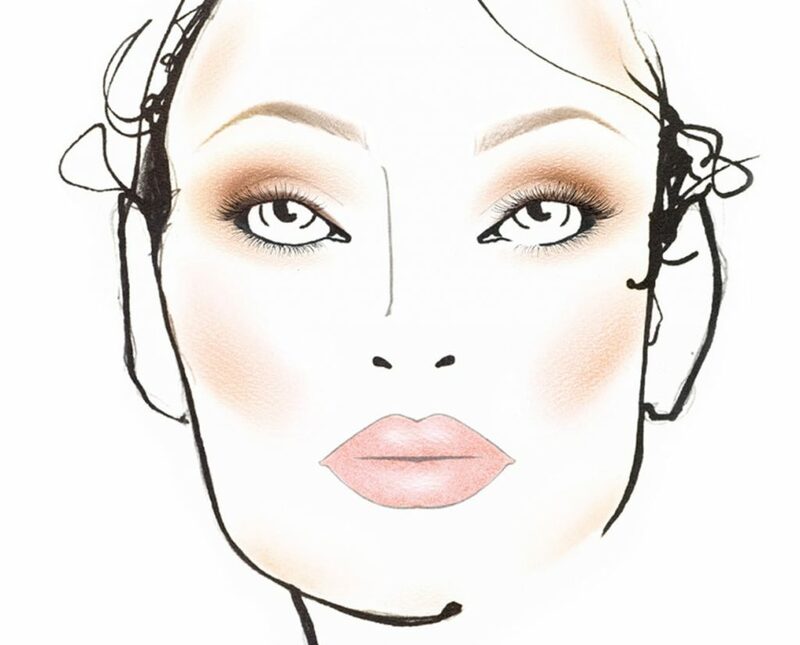 1: Kick extreme contouring to the kerb – leave it for the nightclub, not an audition room. Natural contouring is fine, just don’t try and change your natural beauty. 2: Only wear a colour that you would normally wear. Don’t wear a shade of lipstick that is foreign to you just because you feel that you should. You will feel uncomfortable and this will come across in the audition room. 3: Don’t ignore the brief. Make sure your hair and make-up are appropriate for what you’re auditioning for. If you’re auditioning for Mamma Mia for example they like everyone to look young and fresh faced, therefore if you went in wearing a full face with lashes it would be inappropriate. Do your research for the show and stick to the brief. 4: Don’t skip washing your brushes. You can use a spray brush cleaner after every use and wipe on a tissue in between your thorough clean. Clogged up make-up on brushes not only spreads bacteria but also stops make-up from being applied evenly. 5: Don’t try to be someone you’re not. At the end of the day the casting panel want to see you. Wear what you feel comfortable in and it will show through in your audition. Don’t skip your skincare regime. Ditch the wipes, they dry out the skin and spread bacteria. At the end of the day you can spend a fortune on make-up but if you’re not looking after your skin it will never look as good as it can. Invest some time and money in finding the right products and routine for you. You won’t regret it!